Tamil Eelam are on the back foot, the men in white forced back by the Somalian hosts, Barawa, under the Thursday night Hayes Lane floodlights. The hosts are swift and aggressive, a fluid attacking team that play into space and exploit static backlines. The killer punch is coming: a rapid through ball pinged out to the right of midfield towards star man Gianni Crichlow. The former QPR man skins his marker, looks up, spots Tamil goalie Umaesh Sundaralingam about five yards off his line, and pings a spectacular lob over his head into the Tamil goal. His teammates shine his shoes in front of the fans: Barawa have arrived. It’s day one of CONIFA in London, and it’s following the unwritten rule of any kind of travel based writing: when you’re on a very specific schedule, there will always be delays. Thank you, Ryanair. So my CONIFA experience started with a mad rush down to Sutton United’s Gander Green, where I arrived just in time for halftime in the Ellan Vannin and Cascadia game. Ellan Vannin -from the Isle of Man – are considered one of the early favourites for the tournament. 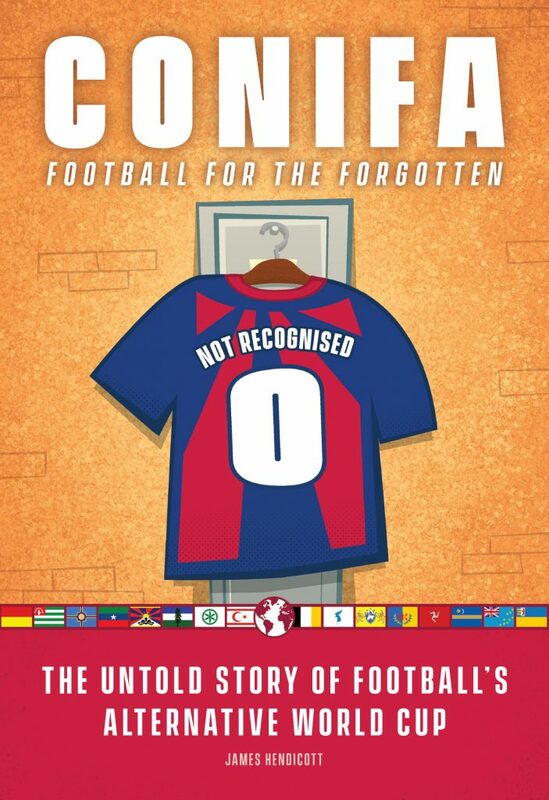 Their fans tell me that the recent rejection of Jersey’s UEFA application has hit them hard, their chances of recognition diminished by another entity in a similar situation being emphatically rejected in February despite intense lobbying. But they’re passionate, aggressive and organised. Their opponents, Cascadia, arguably have more obvious technical ability, but are fairly incoherent as a team. The North Americans have been brought together in recent weeks, with a couple of real superstar players, in particular, former MLS mainstay James Riley, who’s come out of retirement to captain the side. Ellan Vannin won out 4-1, controlling chunks of the game, though a lot of the margin could be put down to disorganization on the part of their opponents, who also looked more than a little jetlagged, and will almost certainly improve. Things came to life for game two at Gander Green, Matabeleland v Padania. 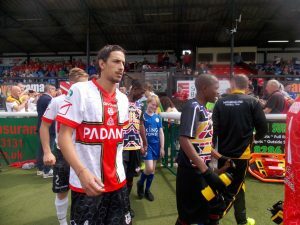 Like Ellan Vannin, Padania – a North Italian separatist state – are amongst the early favourites for the whole tournament, with most of their players drawn from the Italian fourth tier. Matabeleland – representing relatively rural southern Zimbabwe – are almost all out of the country for the first time, and immediately charmed almost everyone.